Melbourne has increased its ranking from 13 to 12 in the world (out of 96 centres), while Sydney has slipped slightly from 8 to 9. It wasn’t that long ago – in fact in April 2016 – that Melbourne was sitting well down the list in 30th position and Sydney at 17. Now both cities appear to have stabilised their positions in the top 15 and Melbourne is beginning to gain on Sydney. The solid ranking for both Sydney and Melbourne is a good sign for Australia’s financial services and fintech industries. 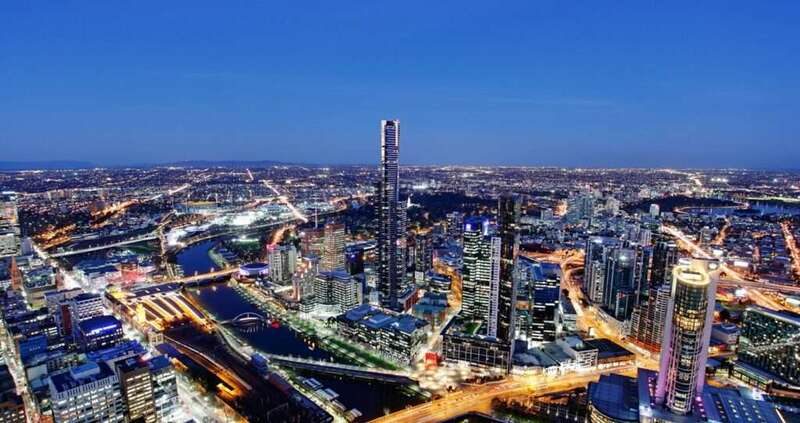 The Victorian Government is working hard to position Melbourne as a world fintech hub and was last year the presenting partner of Intersekt, Australia’s inaugural fintech festival. In addition, Victoria late last year announced it would be funding not just one, but two, new fintech hubs in Melbourne. Meanwhile, the NSW Government is also seeking to grow Sydney as a fintech centre, including through sponsoring FinTech Australia’s Finnie awards again in 2018. In addition, the government has funded the new 11-floor Sydney Startup Hub, which includes the Stone & Chalk fintech incubator. 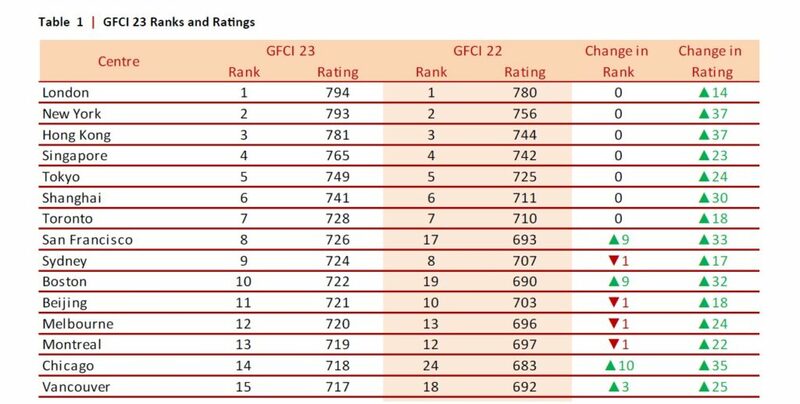 There is little change at the top of the global financial centres ranking tree (London is still number one, New York two and Hong Kong three).